British violinist Daniel Hope has toured the world as a virtuoso soloist for 25 years and is celebrated for his musical versatility as well as his dedication to humanitarian causes. Winner of the 2015 European Cultural Prize for Music, whose previous recipients include Daniel Barenboim, Plácido Domingo and the Berlin Philharmonic Orchestra, Hope appears as soloist with the world’s major orchestras and conductors, also directing many ensembles from the violin. An exclusive Deutsche Grammophon artist since 2007, beginning with the 2016/17 season Hope will become Music Director of the Zurich Chamber Orchestra, succeeding Sir Roger Norrington. Hope opened the 2015/16 season with the Leipzig Gewandhaus Orchestra, as well as “play-directing“ the Academy of St. Martin in the Fields, and gave recitals in the Théâtre-des-Champs-Élysées in Paris and at London’s Wigmore Hall. He will play-direct a number of other orchestras this season as well, including the Zurich Chamber, New Century Chamber and Orquesta Nacional de España. In February 2016 Deutsche Grammophon released Hope’s 10th album for the Yellow Label: My Tribute to Yehudi Menuhin. It is a deeply personal tribute to Hope’s mentor, who would have celebrated his centenary on April 22, 2016 and with whom Hope performed over 60 times, including in Menuhin’s final appearance on March 7, 1999. Hope is curating a year of Menuhin concerts from Seoul to San Francisco, including a 10-day Menuhin Festival in April 2016 at the Konzerthaus Berlin. Daniel Hope is one of the world’s most prolific classical recording artists, with over 25 albums to his name. 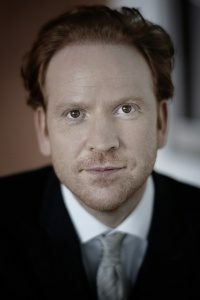 His recordings have won the Deutsche Schallplattenpreis, the Diapason d’Or of the Year, the Edison Classical Award, the Prix Caecilia, six ECHO-Klassik Awards and numerous Grammy nominations. His album of Mendelssohn’s Violin Concerto and Octet with the Chamber Orchestra of Europe was named one of the best of the year by the New York Times. His recording of Alban Berg’s Concerto was voted Gramophone Magazine’s “top choice of all available recordings.“ And his recording of Max Richter’s Vivaldi Recomposed, which reached No. 1 in over 22 countries is, with 130,000 copies sold, one of the most successful classical recordings of recent times. Hope was raised in London and studied the violin with Zakhar Bron. The youngest ever member of the Beaux Arts Trio during its final six seasons, today Hope performs at all the world’s greatest halls and festivals: from Carnegie Hall to the Concertgebouw Amsterdam, from Salzburg to Schleswig-Holstein, from Aspen to the BBC Proms and Tanglewood. He has worked with conductors including Kurt Masur, Kent Nagano and Christian Thielemann, as well as with the world’s greatest symphony orchestras including Boston, Chicago, Paris, London, Los Angeles and Tokyo. Devoted to contemporary music, Hope has commissioned over thirty works, enjoying close contact with composers such as Alfred Schnittke, Toru Takemitsu, Harrison Birtwistle, Sofia Gubaidulina, György Kurtág, Peter Maxwell-Davies and Mark-Anthony Turnage. Daniel Hope has penned four bestselling books published in Germany; he contributes regularly to the Wall Street Journal and has written scripts for collaborative performances with the actors Klaus Maria Brandauer and Mia Farrow. In Germany he presents a weekly radio show for the WDR3 Channel. Since 2004 Hope has been Associate Artistic Director of the Savannah Music Festival. He plays the 1742 “ex-Lipiński” Guarneri del Gesù, placed generously at his disposal by an anonymous family from Germany. He lives with his family in Berlin.